Years in the Wilderness -- the Old School and the LGBTQ tide. 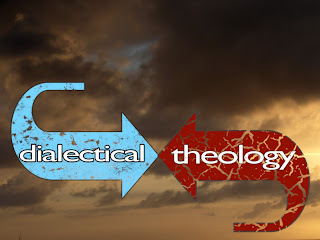 They no longer defined our liberal Christian theologies as essential to Unitarian Universalism; they shifted our core to being eccelesiological: our congregationalism, the "Free Church" tradition. (which they drew from the Puritan Unitarian tradition; not the Universalists). Whatever its origins, the effect was to minimize differences between UU churches and the surrounding culture. We could sidestep the burning questions that preoccupied the evangelicals: Are you saved by Jesus from Hell? What defined us was our polity, and frankly, our congregational polity looked like that of the Baptists. And as I said before, the "Free Church" tradition effectively closed off any location from which social activism could be mounted. To the Old Schoolers, it was not legitimate for the General Assembly to pass resolutions and for the Washington Office to lobby for them, since they did not truly represent congregations, just self-selected GA junkies. To the Old Schoolers, the basis of the local congregation was a covenant to protect each other's freedom of conscience, so it was not really legitimate to move beyond consensus in social activism. The only legitimate location for social activism in the local church was the isolated Social Justice committee. Old Schoolers also resented the multitude of Independent Affiliates which sprang up to promote social activism for particular causes. Who did they represent? And of course, electoral politics, which is the most common form of citizen activism, was completely off-limits. As the liberal movement in the national body politic was being defeated and demonized, the Old School model of Unitarian Universalism, in practice, minimized the difference between UUism and the prevailing political culture. Understand that I am not judging or condemning. I am not here to defend or denounce the Old Schoolers. The Old Schoolers influence was limited, of course. There was an opposite tendency at work: congregations and individual UU's who were social and political activists and who prodded UU's to become activated. I believe that the Old School's political theology was effectively demolished by the rise of LGBTQ politics in the UUA. Almost all heterosexual people, at least of a certain age, can remember a time when they did not "get" it about LGBTQ people. Hetero people "got it" at different rates and at different points in the life. I am not saying that the Old Schoolers were slower than most, or that they harbored more homophobia than others. I am saying the rise of GLBTQ politics in the UUA seemed all wrong for the Old Schoolers. 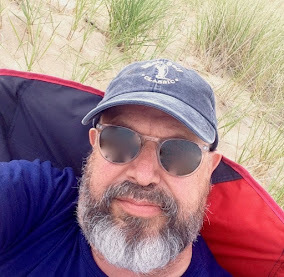 I am saying LGBTQ politics because I am distinguishing it from the earliest issues of whether UU's should grant fellowship, settle and ordain individual ministers who were gay or lesbian. That kind of issue was an equal opportunity in employment kind of issue, and not as big a deal. After all, the ultimate power still lay in the hands of the congregation. What was so disruptive to the Old School theory was this question of a national denomination wide push for congregations to present a welcoming face to the community at large. How could 25 Beacon legitimately pressure a congregation to change how it presented itself in the larger community? How could it legitimately organize laypeople to promote this change, even if it meant working around the minister? How could 25 Beacon make a list of congregations that met some standard that they set? No matter how individual Old Schoolers stood on LGBTQ issues, the Welcoming Congregation effort was a fairly complete demolition of the Old School theories about how relationships should work in this association of congregations. But it worked. I personally believe, without any actual data to cite, that the influx of LGBTQ ministers and lay people into UUism during the wilderness period, saved UUism. New blood, new energy, new younger ministers, new spirituality and new depth flowed in where other Protestant denominations thrashed around in endless soul-killing debates on these questions. Not only did it work, but it became an even more profound challenge to the accommodationist impulse. The rise of the issue of marriage equality put UU's, as UU's, out into the streets and into electoral politics. LGBTQ political issues became the big exception to all the Old School theories about social activism. We don't do controversial social activism, or engage in electoral politics, or override minority opinion in the congregation, or try to say that our theological beliefs necessarily result in particular social policies, or hang cause oriented signs on our building EXCEPT for gay rights and marriage equality. The Exception has become the rule. But I am getting ahead of the story here. Our pro-marriage equality activism is really more of a story about UU participation in the liberalization of our culture in this new era. The full inclusion of LGBTQ people in the liberal coalition is one of reasons why political, social and cultural liberalism is on the rise. And UU's are a part of that story, but we should be aware that it marks a historic shift in our political theology and ecclesiology.